It is impressive enough to be crowned RCN Wales Nurse of the Year, but winning the accolade within six years of qualifying is an exceptional achievement. 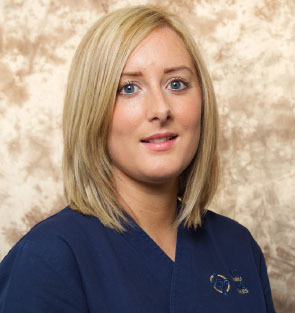 Claire Harris, a ward sister at the Royal Gwent Hospital (RGH) in Newport, only began nurse training in 2006. She was recognised at the awards for her role in delivering a stroke design programme at her health board. This led to the creation of a single-site stroke service and the introduction of 12 hyperacute stroke beds by January this year. The unit has seen an increase in discharge rates and a reduction in the average length of stay for patients. Her win may inspire younger nurses, perhaps unaccustomed to such seniority or recognition among their age group. She says the presence of strong role models has helped her progress because she has channelled her efforts into learning from good practice. After qualifying in 2009, Ms Harris took a job as a newly qualified nurse at the RGH medical assessment unit. She enjoyed the fast-paced environment and says the role provided an ‘excellent learning ground’ to equip her with invaluable skills for her career. She applied to become deputy ward sister in stroke care at RGH, where she already knew a ward sister. Three months later, the ward sister left and Ms Harris was asked to run the unit. When the unit was moved to a different location, Ms Harris helped to redesign the ward to improve patient care. More recently, she has played a role in the centralisation of stroke services at RGH. ‘I tried to implement change gradually so staff would not be overwhelmed by it,’ she says. The RGH stroke unit is complemented by three other units, at Nevill Hall Hospital, Ysbyty Ystrad Fawr and St Woolos Hospital, which specialise in acute stroke care and rehabilitation. Ms Harris set up a daily conference call between ward sisters in the four units to aid communication and patient flow. As a result, the waiting times for patients to move from the emergency department to the stroke department have reduced, she says. After finishing nurse training, Ms Harris had planned to train as a midwife but changed her mind during her nursing placements when she realised she loved working with older people in acute care. She also finds job satisfaction in mentoring and coaching junior members of her team, as well as encouraging healthcare support workers to pursue nurse training. ‘I enjoy helping nurses to develop to the best of their ability and progress their career. I also enjoy nurturing newly qualified nurses within their transition from student to registered nurse.